Helping others plan for their prosperous financial future is second nature for Ann. 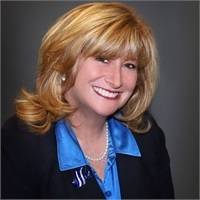 Whether it is running the Financial Planning Program for a prestigious credit union, or putting on a mentoring event for 600 women owned businesses, Ann Hauser Laufman exudes a vivacious energy and passion for the financial planning industry. In addition to obtaining her CERTIFIED FINANCIAL PLANNER™ Professional certification in 2007, and Certified Family Business Specialist certification in 2008, Ann was awarded her agency's "Agent of the Year" in 2006 and 2010. She was the first woman in her agency to do so in over its 100-year history. She was also named the 2009-2010 "Woman of the Year" by the National Association of Professional Women. Continually placing importance on each of her client’s unique needs is what differentiates Ann and is what makes her a trusted partner, respected advisor, and a leader in her industry.